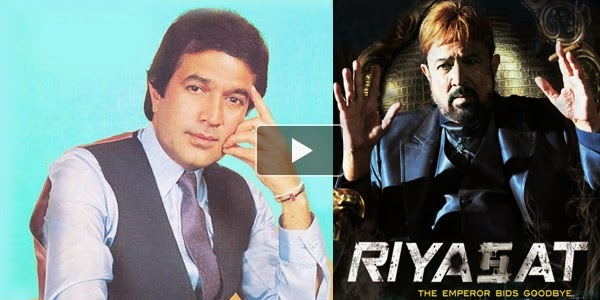 There is good news for all the Rajesh Khanna’s fan because late superstar Rajesh Khanna’s last movie RIYASAT, in which the actor plays an underworld don, is slated to be released on the actor’s second death anniversary on 18 July, 2014. According to reports the movie was originally supposed to be released on December 29, 2012 on the birthday of Rajesh Khanna’s daughter Twinkle Khanna, in the presence of Khanna but could not be released due to lack of distributors. However film director Ashok Tyagi run pillar to post to get the movie released on Rajesh Khanna’s first death anniversary last year. Yet again the attempts to release the movie proved futile. However thanks to the efforts of Anita Advani, former live-in companion of Rajesh Khanna and co-producer Diwaker Singhal, the movie is set to hit theatres on Khanna’s second death anniversary on July 18.